I was surprised by how many people asked if I was going to Hong Kong to shop. I had heard that it was a world renowned shopping destination, full of designer boutiques and high end retailers. But the question always made me laugh because I live in New York, a world renowned shopping destination full of designer boutiques and high end retailers- and I never go to any of them. The thought of flying to the other side of the world to do so sounded crazy to me. It’s not that I don’t like to shop. I’m just not into designer handbags with someone’s logo printed all over it or shoes that would inevitably send me into a face plant. 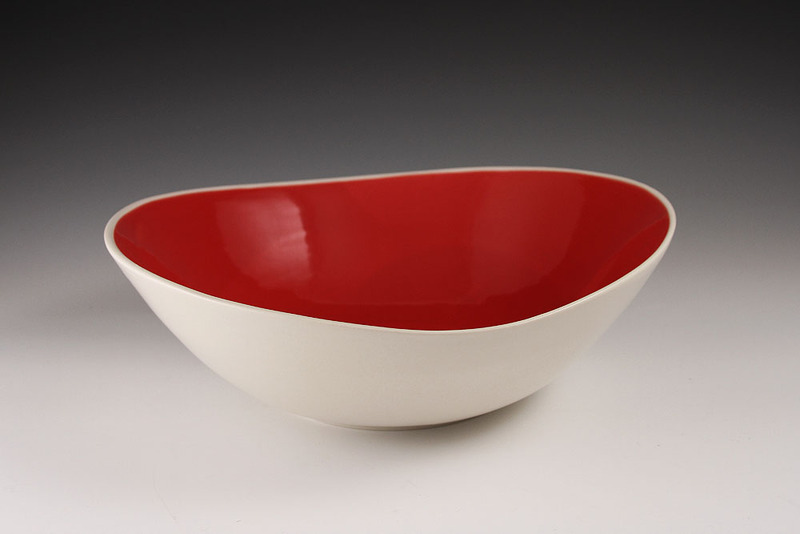 At home I do my fair share of online shopping, thrifting and art market perusing. But when it comes to destination shopping, I prefer to just wonder around and explore a city or village. That’s when I’ll inevitably stumble upon something with a story, something special enough to carry all the way back home where it will become part of my story. Of course I also came back with hundreds of photos, a few maps, post cards and pamphlets, but below are some of the more notable little gems that now have a home in the Bronx. Owls are very special to the Thao tribe, one of few remaining ethnic groups of Taiwan’s indigenous peoples. 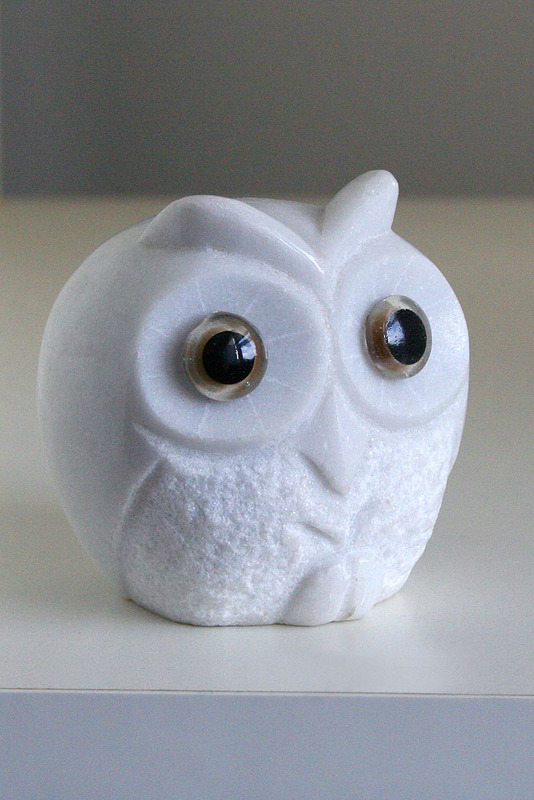 I picked up this marble owl from the Owl Workshop in the aboriginal village at Sun Moon Lake where some of the the Thao have small shops. 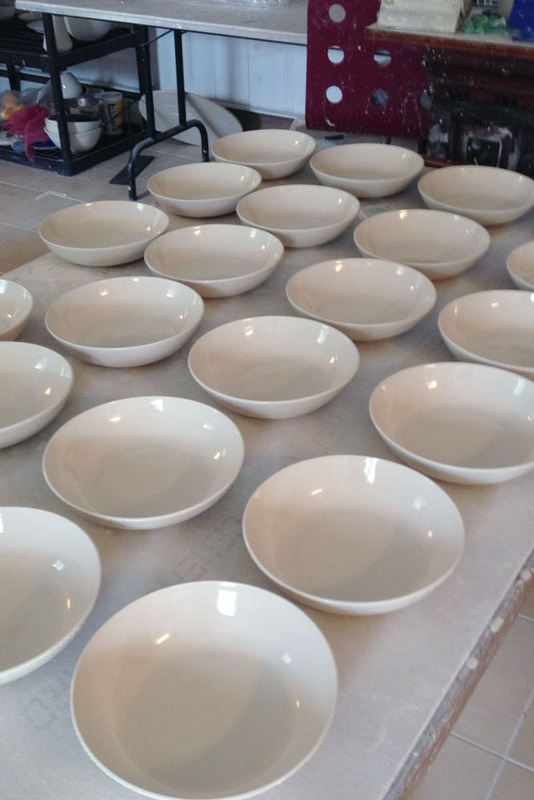 I love the story of Lin Yi-bei, the entrepreneur who founded the Owl Workshop. 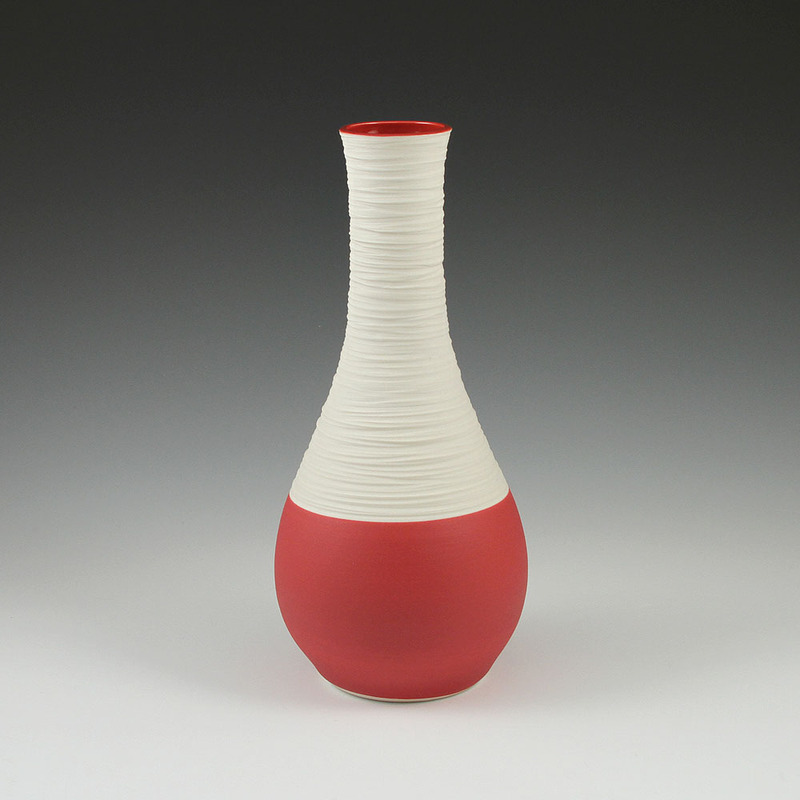 It’s similar to many of the stories (including my own) of the small business owners and artists here. 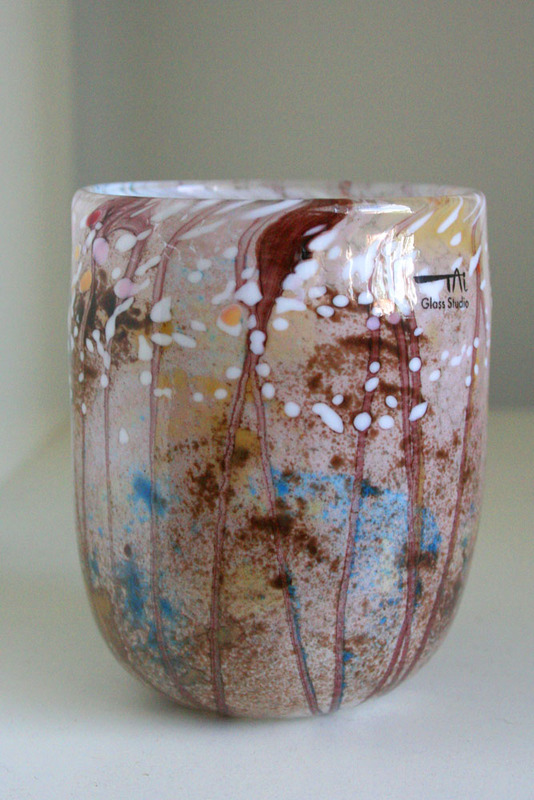 We visited the glass museum in Taiwan where I found this beautiful hand-blown cup from Tai Glass Studio. 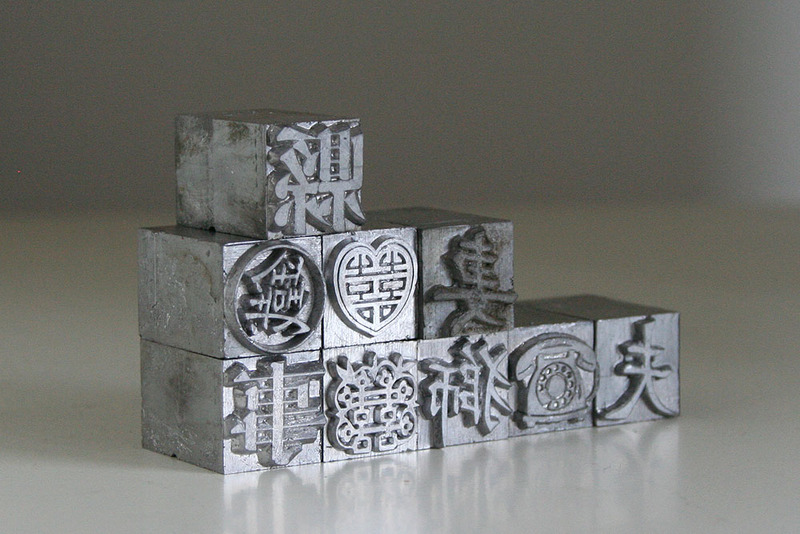 While in Taipei, a friend arranged a private tour of the Ri Xing Type Foundry, the only remaining foundry in Taiwan. 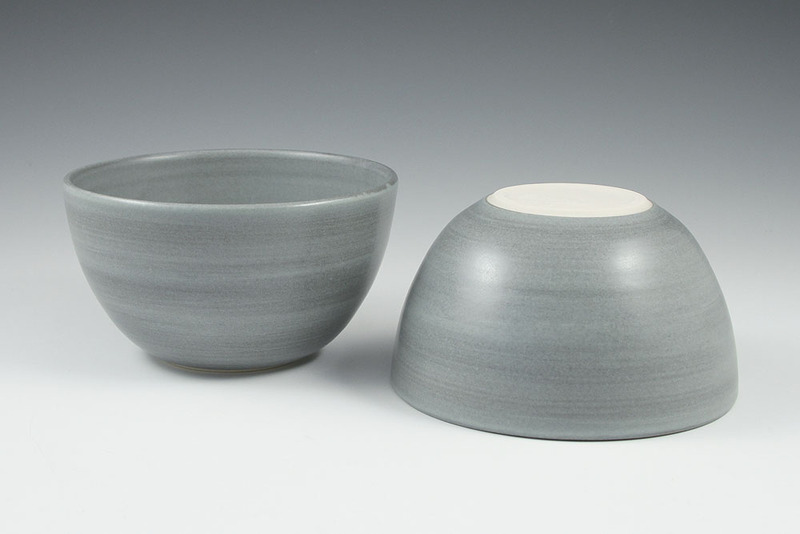 The owner, Chang Chieh-kuan and his wife are dedicated to preserving the 1,000 year old tradition. 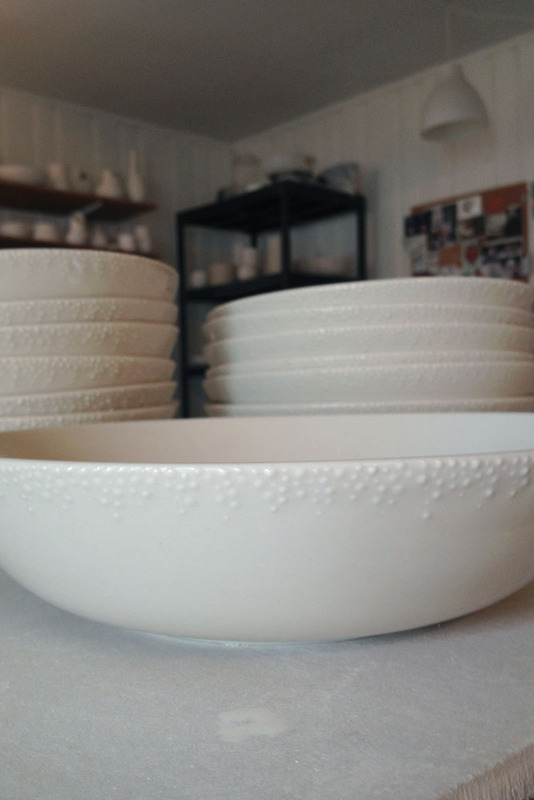 We were excited to learn that some of the type was available for purchase, though it was difficult to choose just a few. 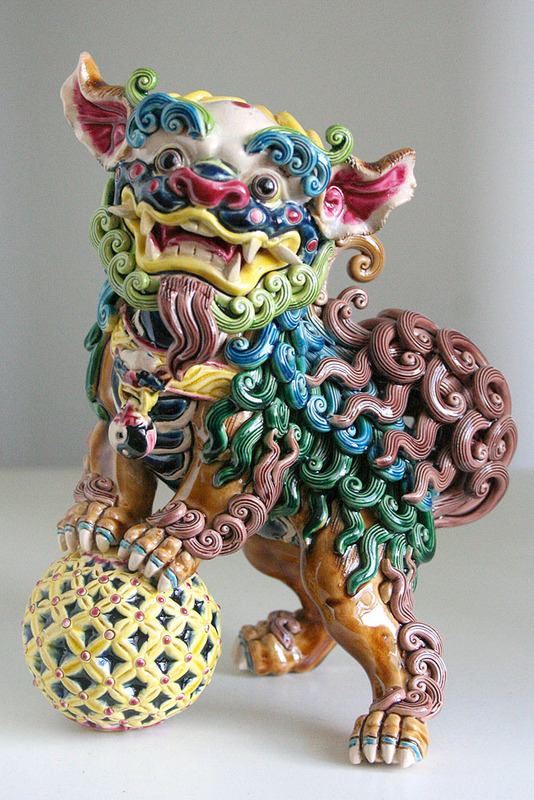 A ceramic lion from the handmade market in Taipei. 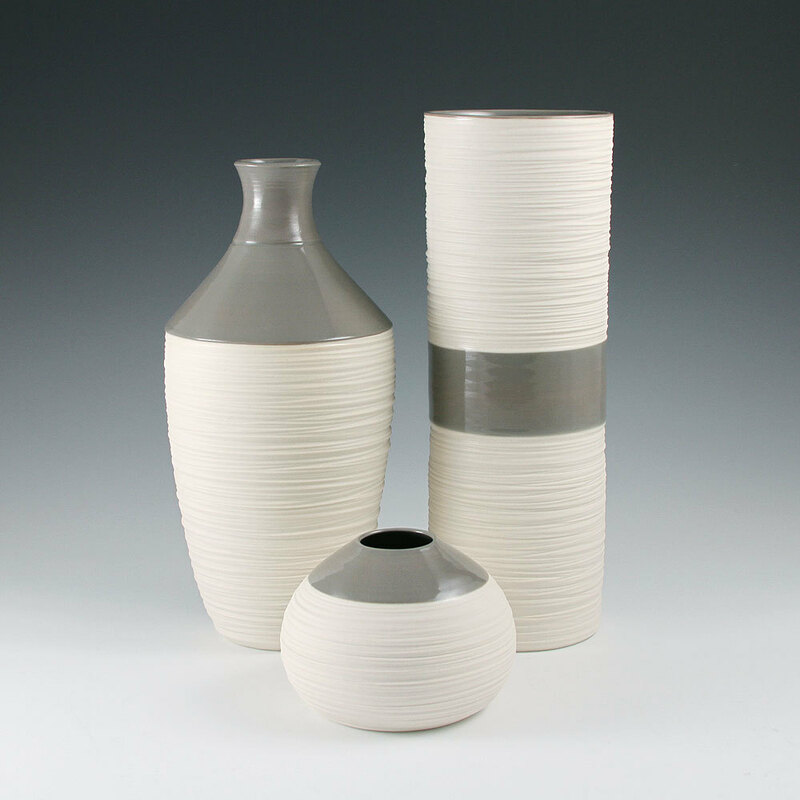 It’s so different from my own ceramic work. I think that’s why I love it. 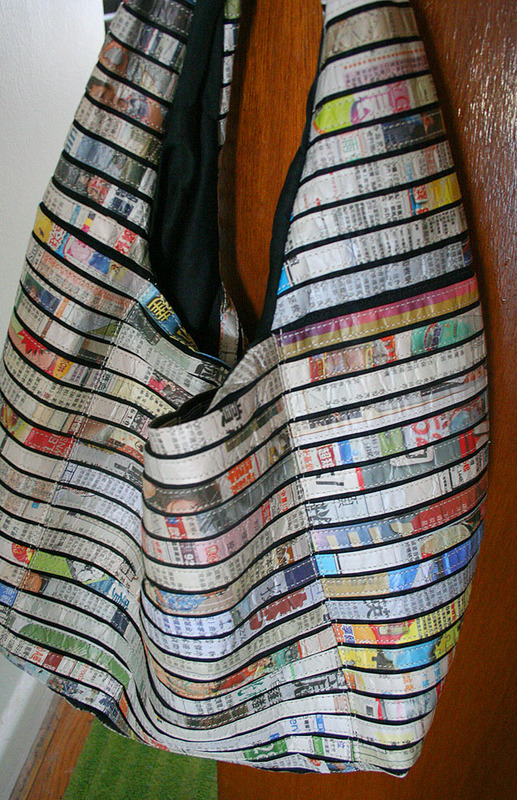 A hobo bag made from recycled newspapers from a small shop in Hong Kong aptly named RECYCLED. The gentleman who owns the shop designs all the bags himself. I’ve seen a lot of these in New York, but never one with this particular design. 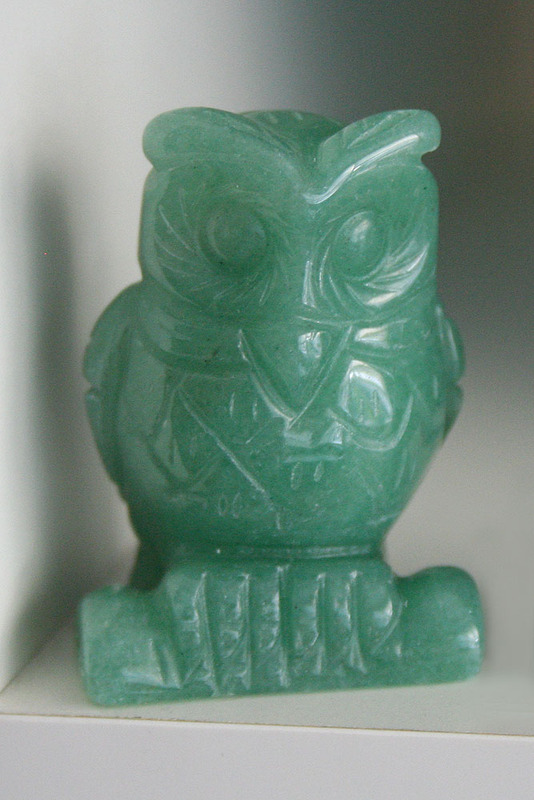 A wee Jade owl from the Jade Market in Hong Kong. Set up like a flea market, each vendor has their own small booth or table displaying everything from Jade statues to jewelry. It was a bit of a culture shock as it was the total opposite of the laid back flea and indie markets that I’m accustomed to. Just glancing at a stall would send the vendor into a fast and loud sales pitch. This often resulted in them leaving the booth to follow us down the aisle, speaking in bits of English with some Chinese thrown in. It was a trip. The owl above came from a very sweet young guy who just wanted to talk to us about our iphone apps. Yes, I carried an empty beer bottle all the way back from Hong Kong. It was from a fun night spent eating and drinking at a Japanese restaurant. 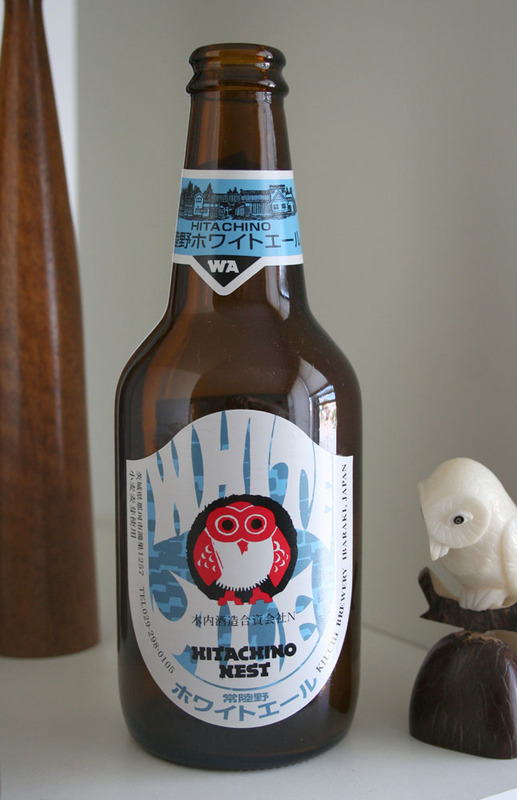 I loved this beer and thought the label was fantastic. Rather than taking a photo that would most likely get lost in the shuffle, I grabbed one of the bottles (yes, there was more than one on the table) on my way out. I looked it up and was happy to find that it’s available at several bars in NYC as well as a couple of markets not too far from my home. Score.